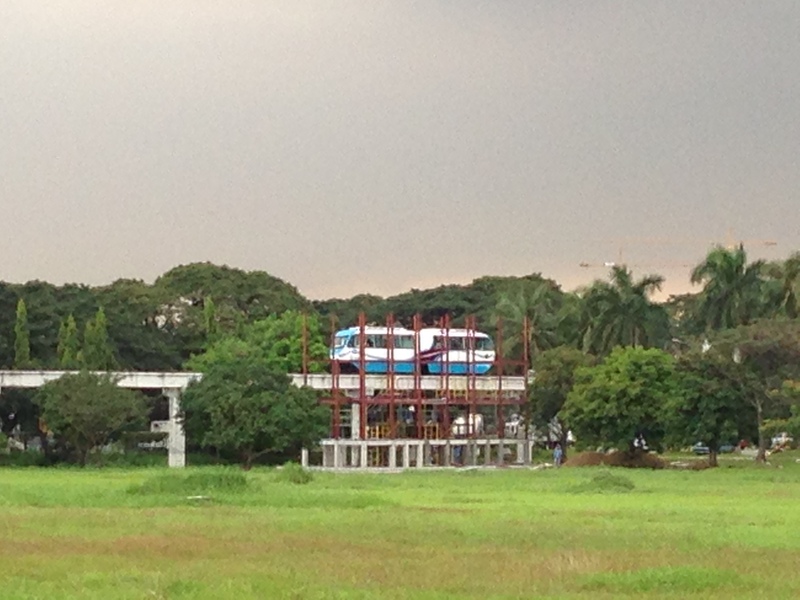 Passing by the test site for the Automated Guideway Transit (AGT) prototype at the University of the Philippines Diliman campus, you will notice the ongoing work on the construction of three platforms for the AGT. These are the latest improvements to the test track and I assume involves faculty members at the UP’s College of Architecture in the design (based on previous discussions pertaining to this project). 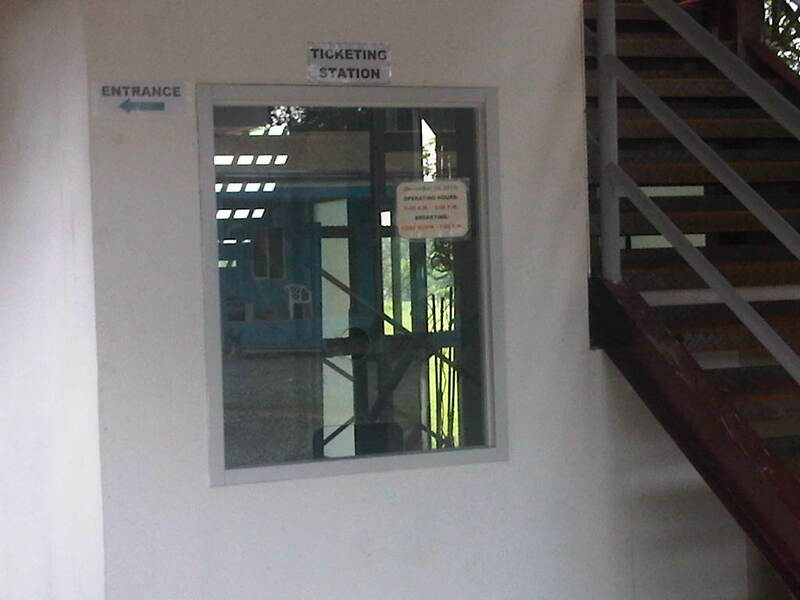 Nevertheless, the station at Jacinto Street end of the test track already has a mock-up of a ticketing office and I learned from the staff there that there will also be turnstiles once the station is completed. These would allow for a simulation of passenger operations for the AGT system, which is part of the R&D for this locally-developed transit system. We were back at the AGT test track last Monday to show the prototype and related works to Prof. Fumihiko Nakamura, Professor and head of the Transportation and Urban Engineering Laboratory at Yokohama National University. He is also currently the Dean of YNU’s Institute of Urban Innovation. Prof. Nakamura is an expert in public transportation and has done extensive work on bus and bus rapid transit (BRT) systems. He was Visiting Professor at the Asian Institute of Technology in Bangkok, Thailand as well as at the Pontifical Catholic University of Parana in Curitiba, Brazil. Previously, we have taken other Japanese professors to visit the site and have a first-hand look at the AGT prototype. These include Prof. Tetsuo Yai, Dr. Daisuke Fukuda and Dr. Hirata of the Tokyo Institute of Technology (Tokyo Tech). Prototype AGT stopped at the University Avenue end of the test track, where a platform is currently under construction. Prototype running along the test track with the photo also showing the unfinished platform at the midpoint of the track. On the background is the CHED building. 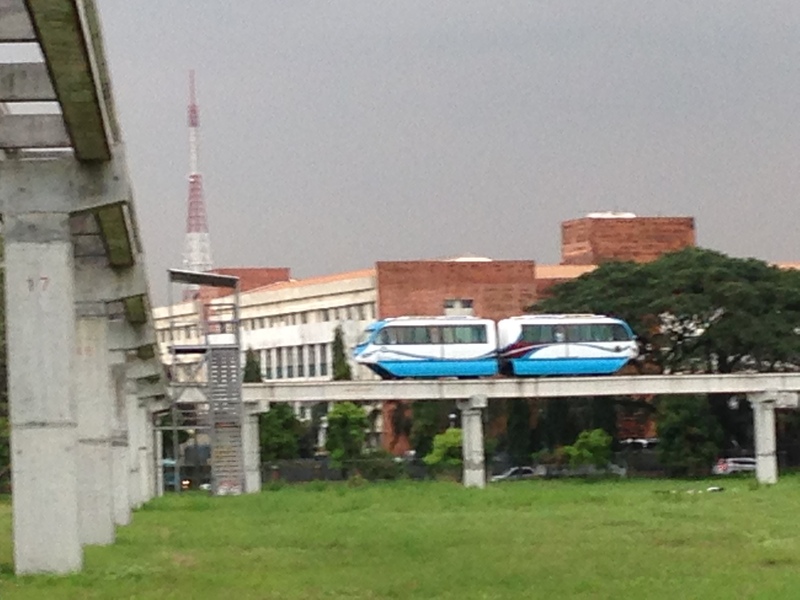 AGT running along the test track towards the Jacinto Street end of the line. AGT leaving the Jacinto “station.” In the photo is the station under construction near Jacinto Street and the entrance to the College of Fine Arts and Veterinary Hospital. Our guests, Prof. Fumihiko Nakamura, Dean of the Institute of Urban Innovation of Yokohama National University, and his students rode on the prototype and took photos of the ongoing work at the Jacinto station platform. The Jacinto Station will have a ticketing station and turnstiles to simulate passenger operations. These were demonstrated last year during the test runs conducted in conjunction with the UP Diliman Lantern Parade. By d0ctrine in AGT, Public Transport, Research on January 9, 2014 . I’m a Master’s in Environmental Management student doing a hypothetical Environmental Impact Assessment on the proposed 6.9km AGT System in UP and I was wondering if you would know anyone I can speak with/e-mail regarding some questions I have? Some questions are about the dimensions of the car, how it works exactly (power, brake, guidance systems), what voltage, (I’m no engineer after all. Heh. 🙂 ) future operation plans (ticketing, fees, etc.) and things like that. I don’t have to take too much of their time with an interview. If they prefer, I can just said a Word file with my questions.